*Heads up! in order to use this feature you must have installed and activated the Jetpack plugin. If you choose to have a stripped menu, you can also have a section on the right where you can display icons linking to your social media profiles. This feature is only supported for the Stripped menu option, and not the overlay menu option. Go to Appearrance > Menus and create a new menu. 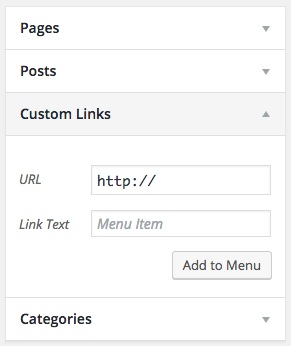 At the bottom of the page, assign the menu you created to the Social Links menu location. Click the Add to Menu button. Hit Save menu and you should be good to go. The Twitter icon should be now visible on the top right of your front end.